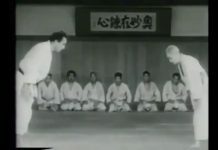 Shihan Fumio Demura was born in Yokohama, Japan in 1938. He began the study of kendo at eight years of age. As his training formalized, he studied kendo under the legendary Nakamura Taisaburo Sensei, and kendo and karate under Sakagami Ryusho at his dojo in the Tsurumi district of Yokohama. 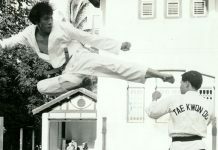 An avid student, Shihan Demura trained daily in the martial arts, achieving high levels of proficiency at a young age. While training at Sakagami Sensei’s Itosu-Kai dojo, he was introduced to the Okinawan kobudo teacher Taira Shinken Sensei, and soon became knowledgeable in various Ryukyu weapons, an ability he would become famous for after his move to America. 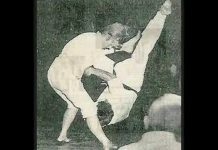 In 1961 Shihan Demura won the National Kumite title of Japan. 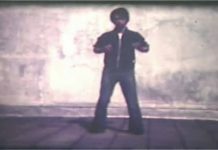 He was now teaching karate in Tokyo, but had the desire to come to the United States. His opportunity presented itself in 1963 when martial arts historian Donn Draeger introduced him to the American karate pioneer Dan Ivan who was in Japan looking for a talented instructor to assist him with his dojos in southern California. 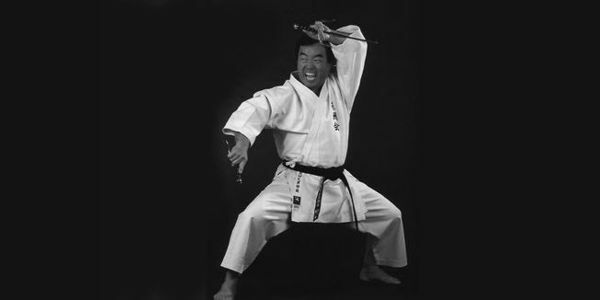 In 1965, Shihan Demura moved to the United States where he is generally considered the first to teach authentic Shito-Ryu karate and Okinawan kobudo. Shihan Demura quickly became a prominent figure in the American karate world through his teachings and his highly skillful and entertaining demonstrations. 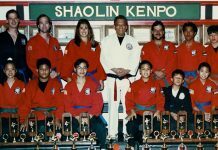 Over the years that followed Shihan Demura and his students introduced thousands of people to the martial arts through their colorful displays in the southern California area. In 1969 Shihan Demura was awarded the prestigious “Black Belt Hall of Fame” award for “Karate Sensei of the Year”, and in 1975, he was named “Martial Artist of the Year”. 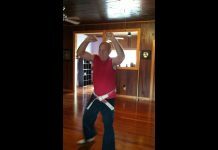 During the 1970’s and 1980’s, he authored several books on karate and kobudo for Ohara Publications, and has been featured in numerous martial arts publications. Shihan Demura is a favorite amongst karate magazines for his dynamic and insightful approach to all martial arts. In the 1980’s Shihan Demura became involved in the “Karate Kid” series, serving as stunt double to actor Pat Morita. This was followed by several other appearances in feature films such as “Mortal Combat” and “Rising Sun”. Shihan Demura served as director and Chief Instructor for the Japan Karate-Do Itosu-Kai International, an organization encompassing nearly twenty nations and thousands of members. In 1986 he was promoted to 7th dan in Shito-ryū karate. In 2001 he was expelled from the Japan Karate-Do Itosu-Kai International and became the Director of Shito-ryū Karate-do Genbu-kai. In 2005, he was promoted to 9th dan. Shihan Demura currently resides in Santa Ana, California where he teaches at his Santa Ana, California dojo and most weekends are spent giving seminars or assisting at tournaments throughout the world. Each February, he hosts his annual Goodwill Championships in Costa Mesa, considered by many to be the foremost traditional tournament in southern California. Shihan Demura is an authentic karate sensei. Combining the traditions of the past with modern approaches to training, he is regarded by his students with love, trust and admiration. In his personal life as well as within the walls of the dojo, Shihan is a living model of what all true martial artists strive to be.